Whether it’s the war on waste, human rights abuses, animal rights or climate change that is your issue of choice (or perhaps you’re concerned about all of them), more of us are taking an interest in making decisions with our money that reflect our values. But while the increased interest in responsible and ethical investing is undeniable, there’s still some confusion around what they actually mean. 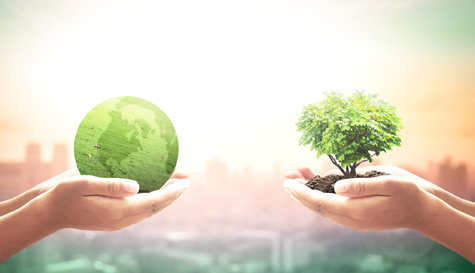 In simple terms responsible investing encompasses a range of investment styles and techniques that take into account environmental, social, governance (ESG) and ethical issues within the investment research, analysis, selection and monitoring process. For example, funds might screen out companies or sectors due to controversial or unethical business practices or negative social impact (negative screening). Other investment strategies may focus on selecting companies or sectors with a stronger focus on sustainability drivers relative to their peers (positive screening). Environmental: Waste, pollution, greenhouse gas emissions, clean technology products and services, environmental management practices. Social: Workplace health and safety, labour relations and standards, community impacts, human rights. Governance: Board independence and persity, executive pay and incentives, bribery, and corruption, conflicts of interest, shareholder rights. Ethical: Tobacco, gambling, weapons, testing on animals, controversial medical research such as stem cell research, live animal exports. The most widely used technique by fund managers is ESG integration, which involves the systematic consideration of ESG risk and return factors alongside financial considerations when making an investment decision. There’s also impact investing where capital, in the form of your investment, is provided to a business which has the purposeful intention of generating a measurable, beneficial social or environmental impact, in addition to a financial return. Increasingly fund managers are using a combination of these responsible investing techniques, creating a range of options in the market for customers seeking to line up their own values with their investment profile and appetite for risk. When it comes to investing your money – be it your super or other financial investments – it’s become increasingly easier to put your money where your mouth is. If you’d like to invest more responsibly or ethically it’s important to first consider which issue or issues are of the most importance to you, and how strongly held your convictions are. Do you prefer avoiding certain industries (for example, the fossil fuel industry) or would you rather favour other industries (such as renewable energy, health-care)? Or perhaps you’re happier with an approach that selects companies that demonstrate the most sustainable characteristics within their industry sector? AMP Capital has been focussed on assessing the environmental, social and corporate governance performance of the companies we invest in since 2001. In 2007 we signed on to the United Nations-backed Principles for Responsible Investment and we’ve recently completed an ethical pestment strategy in accordance with a new ethical framework and have sold all our investments in companies that manufacture tobacco, cluster munitions, landmines, biological and chemical weapons across our entire portfolio. We are also a founding signatory of global Tobacco-Free Finance Pledge.